Mother and warrior. Scholar and spy. Rebel and hero. 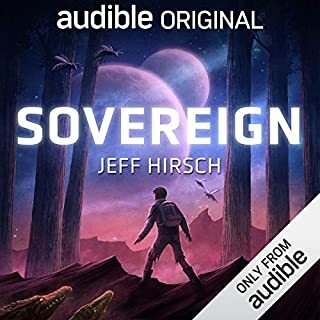 Set in a magical world of terror and wonder, this audiobook is a deeply felt epic of courage and war, in which the fates of these three characters intertwine - and where ordinary people become heroes, and their lives become legend. Thanks to his relationship with the ancient Druid Atticus O'Sullivan, Oberon the Irish wolfhound knows trouble when he smells it - and furthermore, he knows he can handle it. When he discovers that a prizewinning poodle has been abducted in Eugene, Oregon, he learns that it's part of a rash of hound abductions all over the Pacific Northwest. Since the police aren't too worried about dogs they assume have run away, Oberon knows it's up to him to track down those hounds and reunite them with their humans. For justice! And gravy! But if he's going to solve the case of the Purloined Poodle, Oberon will have to recruit the help of a Boston terrier named Starbuck, survive the vegetables in a hipster pot pie, and firmly refuse to be distracted by fire hydrants and rabbits hiding in the rose bushes. At the end of the day, will it be a sad bowl of dry kibble for the world's finest hound detective, or will everything be coming up sirloins? 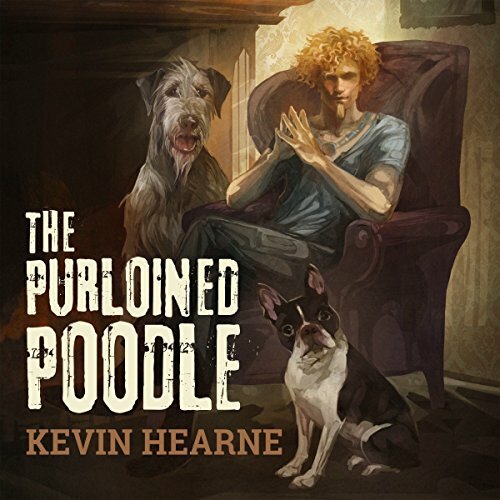 The Purloined Poodle is another exciting novella entry in Kevin Hearne's New York Times best-selling Iron Druid series. Kevin and Luke always keep me wanting more. I suggest listening to the entire Iron Druid Chronicles but only if you enjoy good stories and like to laugh. As beautiful as an all beef Buffet. this was a fun interesting book into the series I really hope that Kevin Hearn makes more books like this in the series. it was really fun to see the perspective of Oberon through the entire story. To start I was a little hesitant as this seem to be a ways away from the main iron Druid plot. Very happy I took the plunge though. Kevin's attention to detail and humor combined with Luke's narration made this a very entertaining listen. On reflection, I think I might be willing to read a dishwasher instruction manual if these two collaborated on it. Got to love the hound.. Wish there are more adventure stories like this. Thoroughly enjoyable from the foreword all the way to the end. The antics of Oberon and the way Kevin gives life to the characters just makes it entertainment that is worth every penny. 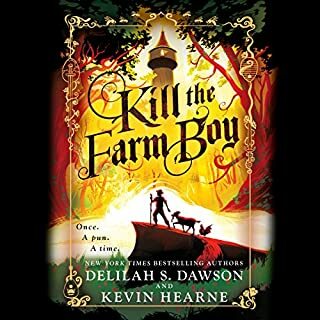 Kevin Hearne came up with another great installment in the activities of Atticus and Oberon, and hopefully a longer book will be coming up that includes more of the other great characters. This was an enjoyable short mystery, the detective work and interactions with local police were an interesting direction to take. 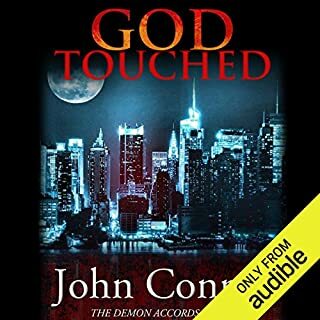 as usual an excellent audio book. Loved this light mystery that Oberon is sleuthing! Great characters as usual. Great reading performance as always. If you could sum up The Purloined Poodle in three words, what would they be? I really enjoyed this book especially since it was from Oberon's point of view. Luke does a great job bringing the story to life. It is so much entertaining fun to listen to Atticus and Oberon again especially after such a long absence! If you haven't read the, "Iron Druid" series yet you are but poorer for the missing. Bind your consciousness to the story telling of a master. 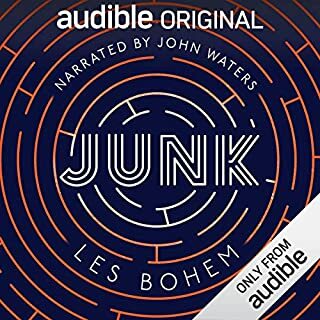 At first I thought the change in the narrater would be detrimental, but the story is so enjoyable and laugh out loud funny it really did not matter. I am having so much fun listening to these books it's making it hard for me to find something else to listen to. granuaile is not in it. Thank God. good fun and almost educational. too much kissing in the main stories of iron druid. Everyone loves Oberon, so it's nice he gets to be the star. Have you listened to any of Luke Daniels’s other performances? How does this one compare? I've only listened to other Iron Druid but he does those superbly. a few chuckles and smiles. It doesn't really add anything new to the Iron Druid series, just an amusing little aside. This is a short romp with Oberon with lots of his trademark wisdom and insight. He's solving the mystery of missing pedigreed dogs with the help of his friend Atticus, and things will probably get messy and require a bath. Oberon is such a great character. He had me in stitches in the other Iron Druid books and this one was just too... cute? No no no no... heartwarming! It's a standalone, so it's not required for Iron Druid. It's a whole lot of fun with the most fantastic dog in literature! 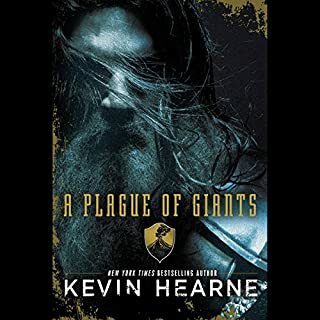 Kevin Hearne's writing is his usual high standard, with lots of intriguing references to other media. However Luke Daniel's narration really grates. This is particularly irritating when Christopher Ragland's narration of some of the other Iron Druid Chronicles is so good. Everyone who likes the iron Druid Chronicles will has to love this adventure Oberon is getting his Druid into. Everyone who likes dogs will do, too. Refreshing change of pace and perspective compared with the original series. Amazing. A wonderful read from the perspective of Oberon. The very first paragraph. "Humans always miss the essential politeness of pugs." got the book off to a great start. The story is engaging. The narrator deserves a pat on the back too. Bringing Oberon's obsession with all things bacon, sausage and gravy to life. 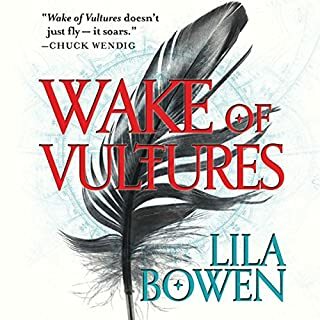 As always an extremely good book and story line, with added twists and turns to keep the reader engaged and immersed into the world of Atticus and all things druid. overall invoice is a little annoying at times. A fun story told from a dog's point of view. I especially loved all of the literary and pop culture references sprinkled throughout the story.